Here’s a gift guaranteed to make someone smile this Christmas and into the future. Gift a life-changing goat that is durable, easy to care for and will play an essential role in tough times. Goats provide families with nutritious milk, fertiliser for crops and their offspring will add to the herd or can be passed to another family. The money raised by this gift will go into our Livelihoods fund, supporting a wide range of life-changing programmes that help vulnerable communities who depend on healthy animals for their livelihoods. 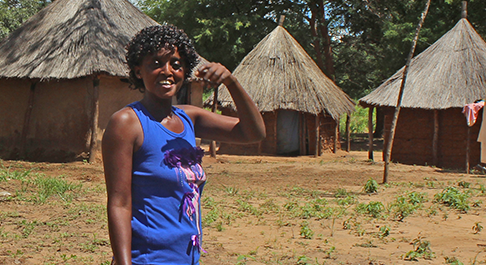 A widow with three children to care for, Dorothy from Zambia struggled to pay for school fees. 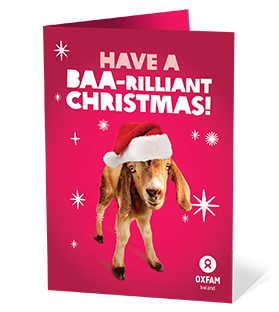 But when she received an Oxfam goat, she was able to make a change. Now the proud owner of eight goats, Dorothy sold her goats’ kids to earn extra income, which she invests in her children’s education.